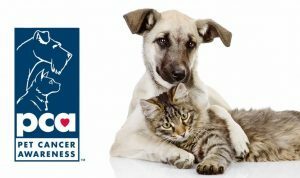 November is National Pet Cancer Awareness Month, and Nationwide is partnering with the Animal Cancer Foundation to increase awareness and raise funds to fight the number one disease-related killer of dogs and cats. Last year, the company received more than 78,000 pet insurance claims for cancer diagnosis and treatment in pets, making cancer-related conditions one of the most common types of medical claims. In fact, last year members accumulated more than $23 million in medical expenses for pet cancer-related conditions. During the month of November, Nationwide will donate $5 to the Animal Cancer Foundation up to $50,000 for every photo, story, or statistic shared on Facebook, Twitter, and Instagram using #CurePetCancer (visit curepetcancer.com for more information).